The answer to this week’s HI Mailbag question is a continuation of last week’s column. Since information about the Garfield Park area more than filled the space last week, I decided to split the main subjects mentioned in the Mailbag question into two articles. As Garfield Park is located in Center Township, while the University of Indianapolis is located about two miles south of it in Perry Township, their histories do differ. 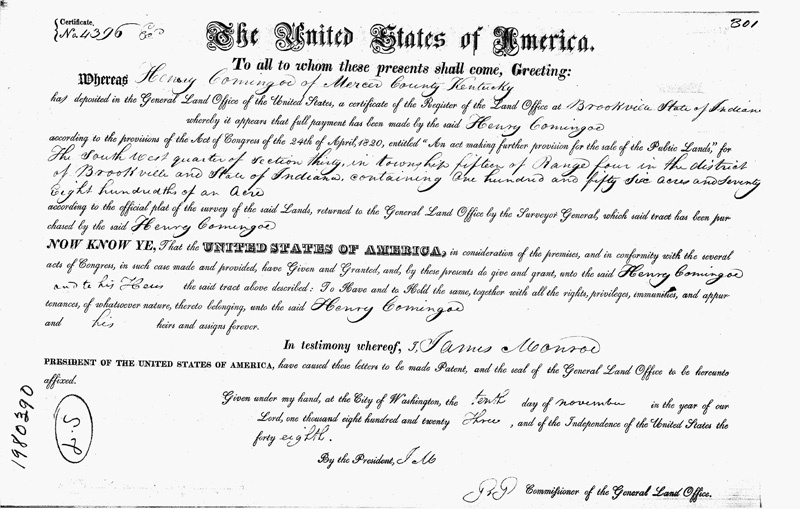 The parcels of land that eventually became the University of Indianapolis were purchased from the federal government by Richard Carnine (1786-1859) and Henry Comingore (1793-1865) in 1822 and 1823, respectively. Carnine was born in New Jersey and was living in Shelby County, Kentucky, when he decided to invest in the newly available land in Indiana. Comingore was born in Pennsylvania and was living in Mercer County, Kentucky, when he decided to move north to own a piece of the American dream. 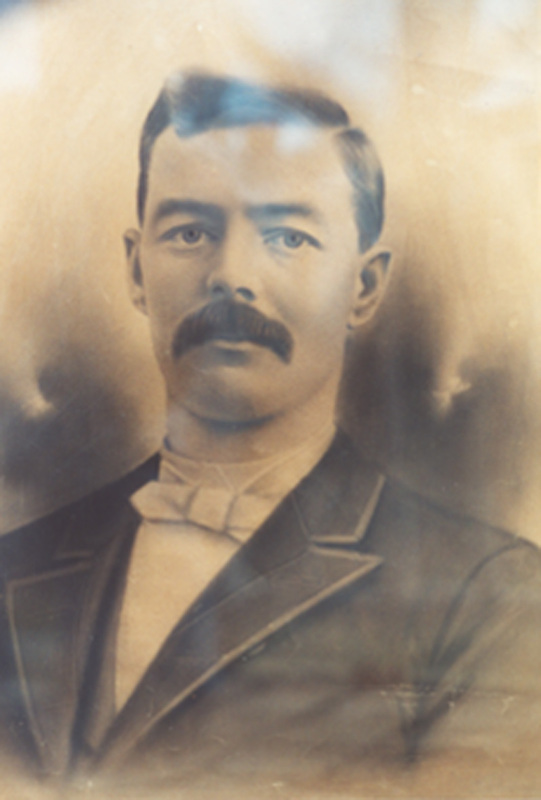 His brother, Samuel Comingore, accompanied him and also purchased 80 acres in Perry Township. 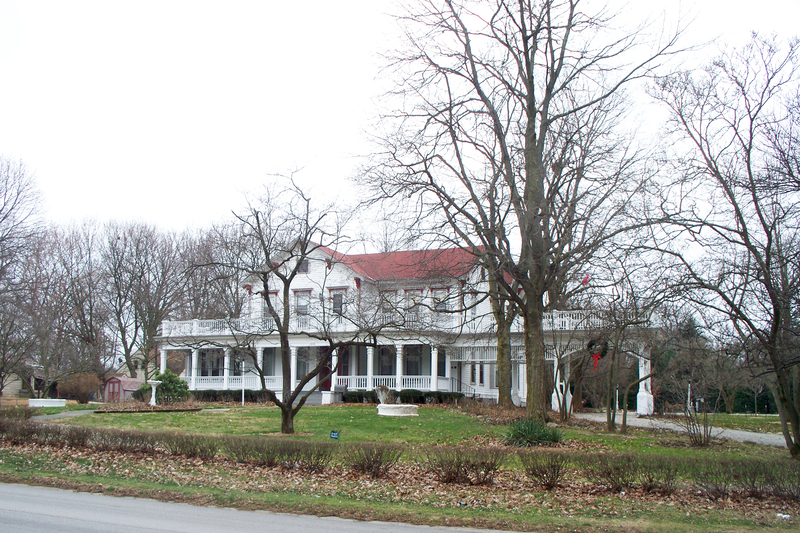 Although located within the same county as the newly designated state capitol, these properties were too remote from the center of Indianapolis to warrant development at that time. Even though the land remained rural and unimproved for most of the 19th century, it appears the tracts changed hands at least a couple of times in the 1800s. 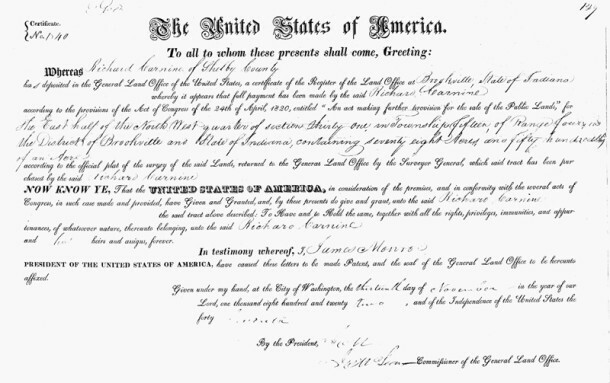 In 1855, the land north of what is now Hanna Avenue was owned by Samuel Hanna, and the land south of what is now Hanna Avenue was owned by Peter Carnine, son of Richard. 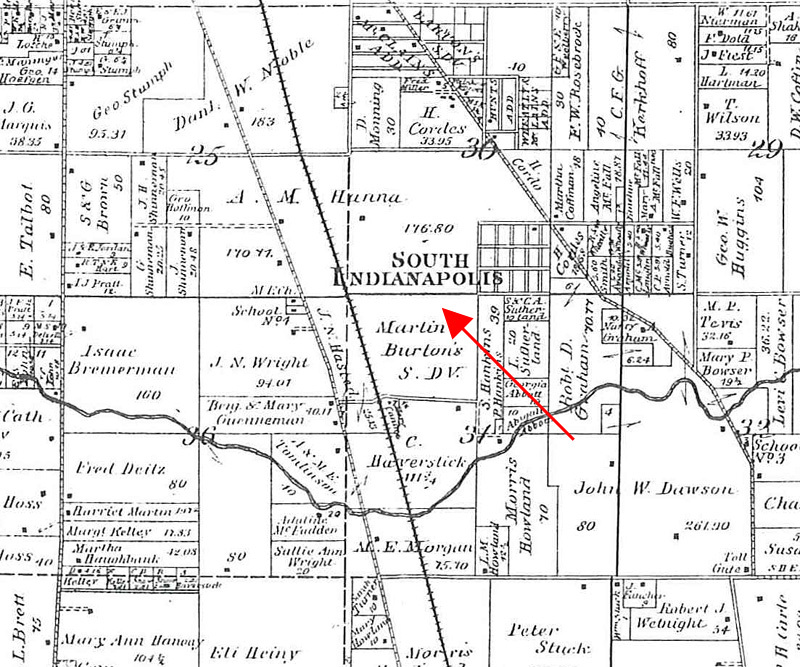 In 1889, the land north of Hanna Avenue was owned by A. M. Hanna, the widow of Samuel, and the land south of Hanna Avenue was owned by Martin Burton. It wasn’t until the dawn of the 20th century that the area would begin to experience capital improvements, when local real estate developer, William Line Elder (1855-1940), acquired the land that had originally been purchased by Richard Carnine and Henry Comingore. Elder was also the developer of a number of other subdivisions, including Armstrong Park, Clifton Place, Northwestern Park, Washington Place, and Eastern Heights. 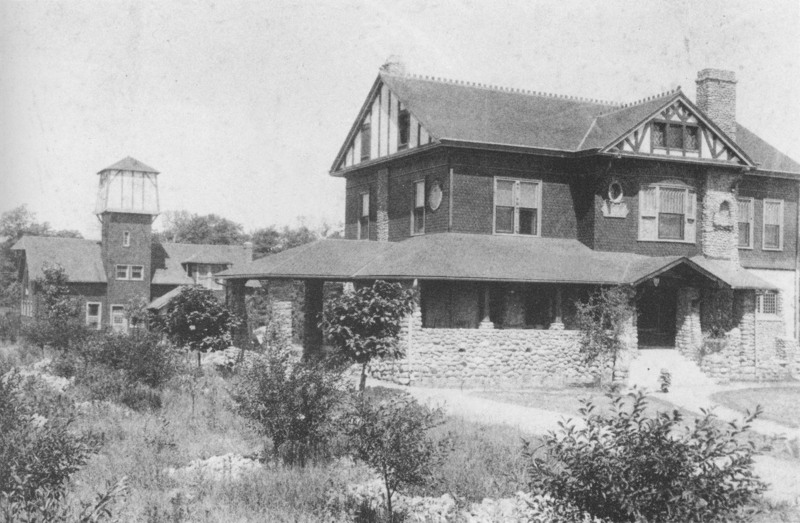 It was Elder’s intention to develop all of the acreage as a housing addition called Marion Heights. Around the same time Elder was planning his new Marion Heights community, there was discussion among the leaders of the Church of the United Brethren in Christ about building a college in central Indiana. Many students had been leaving Indiana to attend Brethren-related schools in other states, including Otterbein University in Westerville, Ohio, and Westfield College in Westfield, Illinois. 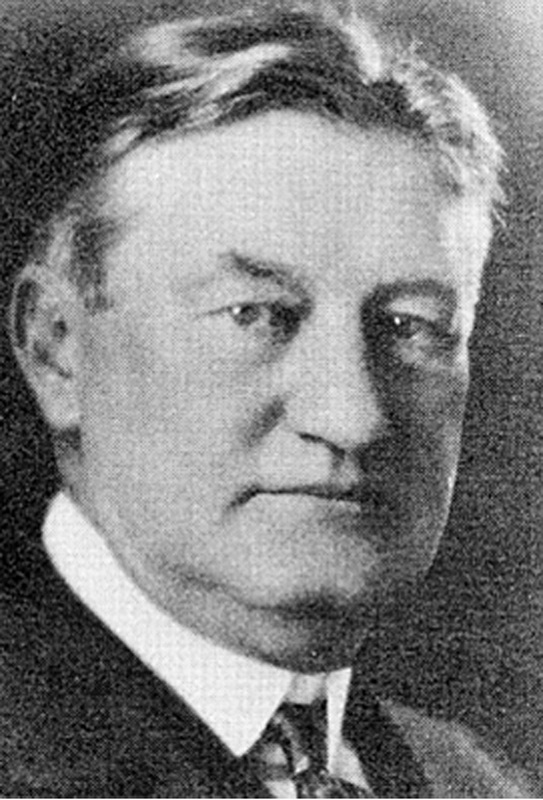 One of the proponents of establishing a Brethren-related college in central Indiana was Rev. Dr. William M. Karstedt (1861-1937), who was minister of the First United Brethren Church. The church was located on the northwest corner of East 21st Street and Central Avenue when Karstedt first became its pastor. The building still stands today, now owned by Promise Place Ministries. 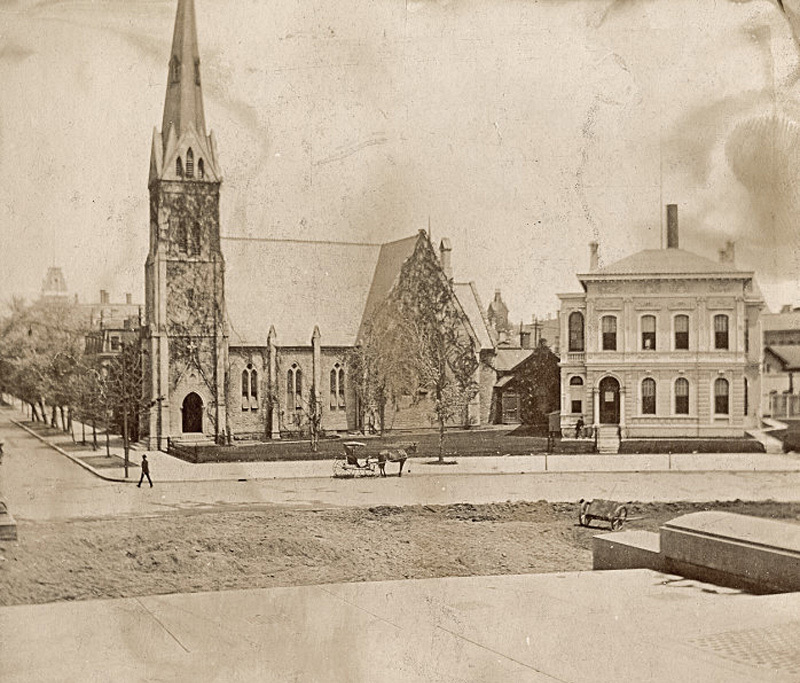 In 1907, the congregation of First United Brethren built a more substantial building on the southeast corner of St. Clair and Park Avenue in the Chatham-Arch Historic District. That building is now the home of the Phoenix Theatre. William Elder proposed an arrangement that proved to be mutually beneficial to both the Brethren Church and Elder himself. 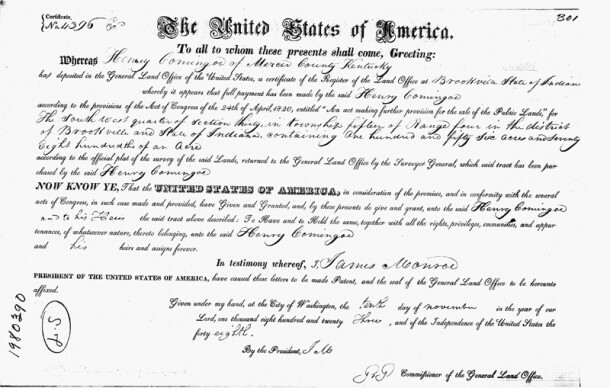 Elder offered to donate eight acres of his land for the founding of a school, as well as to pay for the construction of the campus’s first building, provided the church would help him to find buyers for his remaining 446 residential building lots. 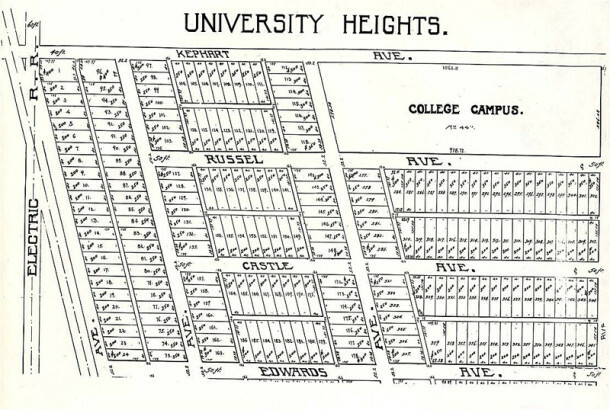 The church leaders agreed to the plan, and William Karstedt went to work selling lots in William Elder’s new housing addition, which by then had been renamed University Heights. Karstedt himself built a house there and moved his family to the neighborhood. 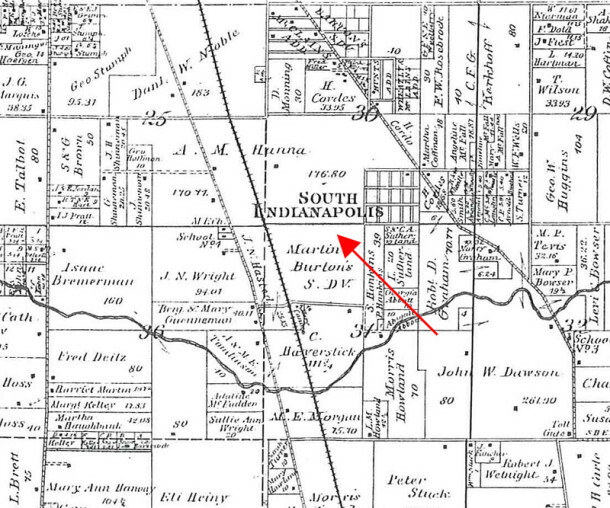 Later, he built a general store at Shelby and Hanna, immediately west of Shelby Street and alongside the Jefferson Madison & Indianapolis Railroad (JM&IRR) tracks. 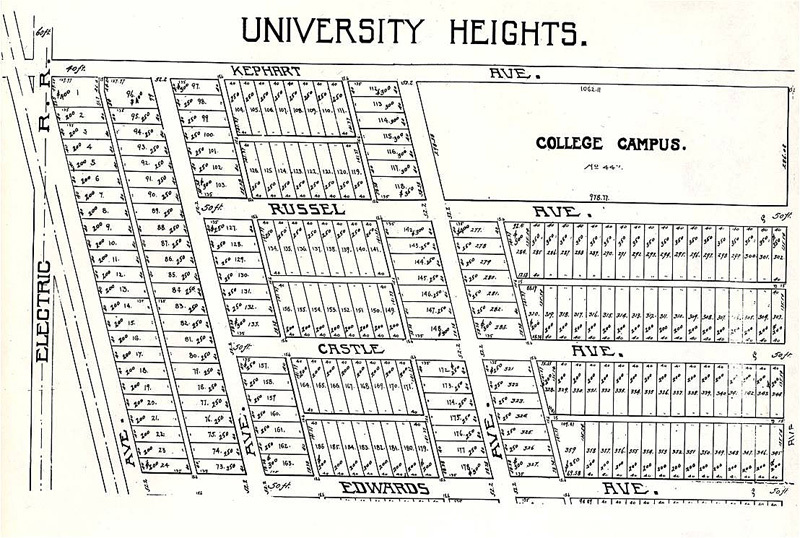 By the spring of 1904, a significant number of the lots had been sold, and William Elder began construction on the college’s first building, as promised. It was completed in just six months. 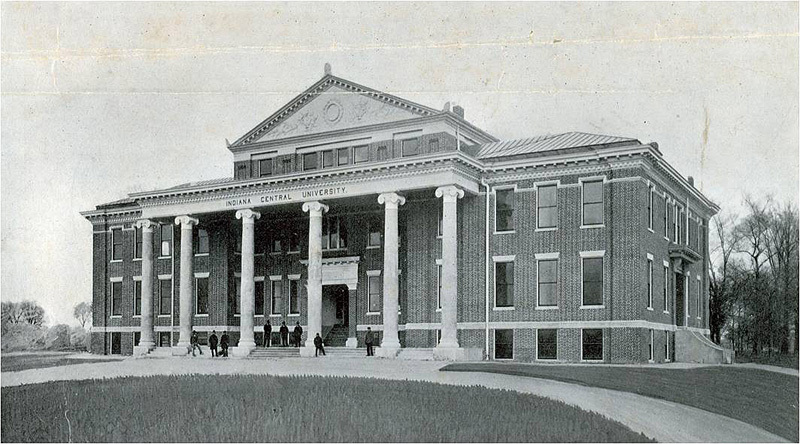 Indiana Central University opened its doors to it first students on September 27, 1905. 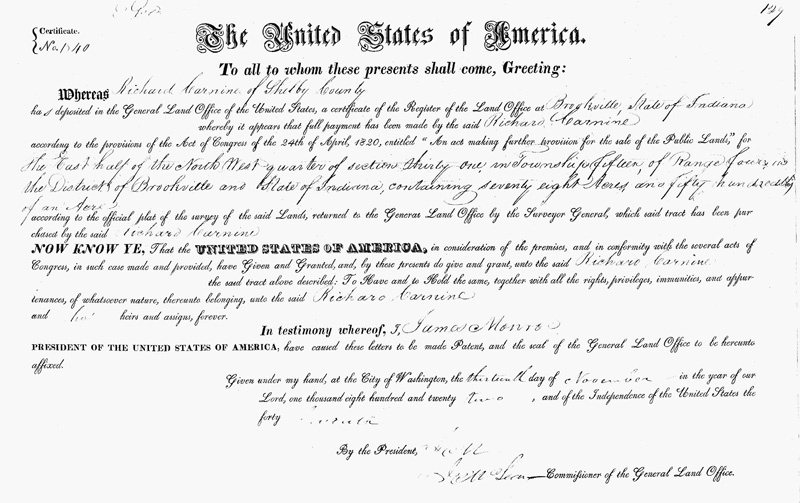 The university’s first commencement was held in the spring of 1908, during which proceedings two students received diplomas. While ICU’s early years were sometimes marked by struggles for sheer existence, by mid-century the school was clearly headed for solid ground. Attention began to shift from planning for survival to planning for expansion and excellence. Beginning with the construction of Academic Hall, which was the first new building in three decades, several new buildings were erected on campus, and the improved facilities made it possible for many new programs and activities to be initiated. Musical and theatrical productions were mounted. A lecture series was started. Radio station WICR 88.7 began broadcasting. The college sponsored a state-wide science fair for junior and senior high school students. Summer school classes were offered. International programs were instituted, including a remote campus in Greece. The University of Indianapolis remains the most prominent cultural institution on the southeast side, a role that continues to expand as new programs are created and new facilities are built. Since the merger of the Evangelical United Brethren Church and the Methodist Church in 1968, UIndy has been affiliated with the United Methodist Church. The University was popularly known as “Indiana Central College” from 1921 to 1975, at which time the use of the word “University” was reinstated. In 1986, the name was changed from its original Indiana Central University to University of Indianapolis, a decision that helped to identify more clearly the geographic location of the school. UIndy has had nine presidents since it opened in 1905, each of whom left a mark. They are J. T. Roberts (1905–1908); L. D. Bonebrake (1909–1915); I. J. Good (1915–1944); I. Lynd Esch (1945–1970); Gene E. Sease (1970–1988); G. Benjamin Lantz, Jr. (1988–1998); Jerry M. Israel (1998–2005); Beverley J. Pitts (2005–2012); and Robert L. Manuel (2012-present). Currently, enrollment is approximately 5,400. There are more than 80 undergraduate degree programs, 27 master’s degree programs, and 5 doctoral programs. In August of 2013, UIndy will welcome students to its 109th new year of classes. In keeping with its early motto, “Education for Service,” the University of Indianapolis’ current Vision 2030 strategic plan calls for the institution to be a good neighbor and active community member. 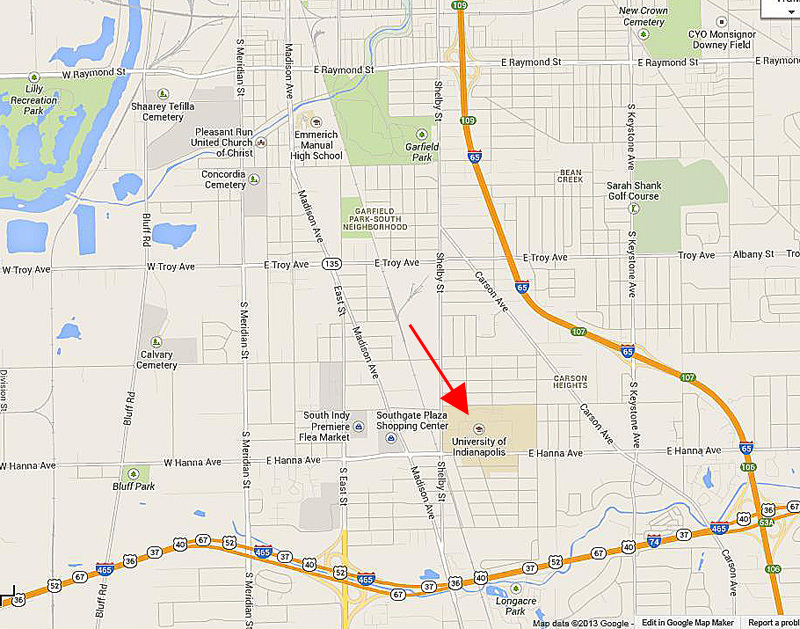 To that end, UIndy is partnering with other south side organizations to revitalize the area. A particular focus is the reestablishment of vibrant commercial areas that can serve those who live and work in the area, so that they don’t have to leave the neighborhood. 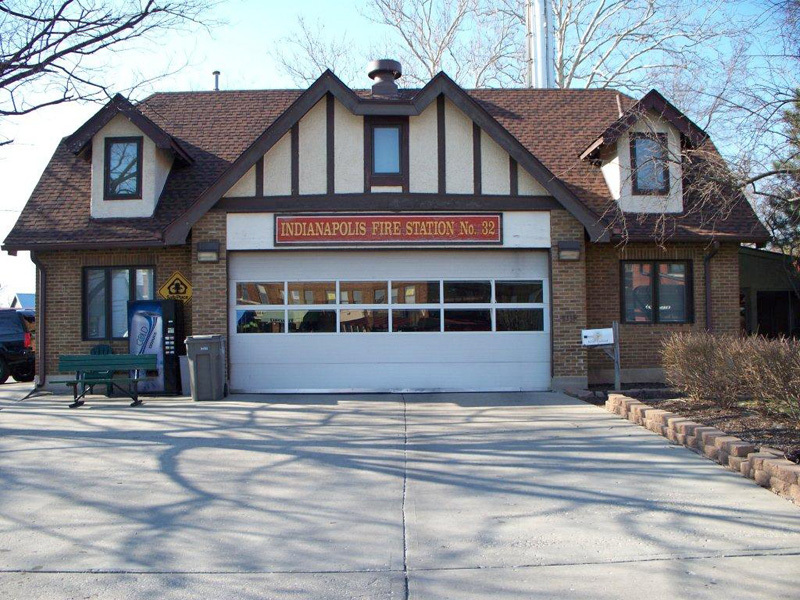 The University of Indianapolis has also established the UIndy Homestead Program to encourage its employees to live near campus. 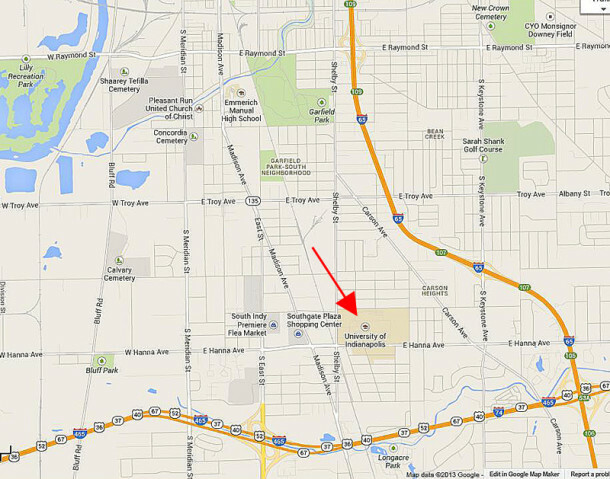 University personnel who buy a home in one of the designated neighborhoods adjacent to campus, including University Heights and Carson Heights, can obtain a $5,000 forgivable loan. If you’d like to be a part of the ongoing renaissance happening near Garfield Park and near the University of Indianapolis, and you are interested in home ownership, the Indiana Neighborhood Housing Partnership (INHP) may be able to help you. Homes in need of alteration or restoration may have such expenses rolled into INHP’s Revive Indy (Housing) Loan. This article was generously sponsored by Indiana Neighborhood Housing Partnership (INHP). You can visit their website here. Your portion and picture about WICR, the radio station at Univ. of Indpls. makes me think that it might be good to have a piece on radio and TV as they developed in Indiana — esp. 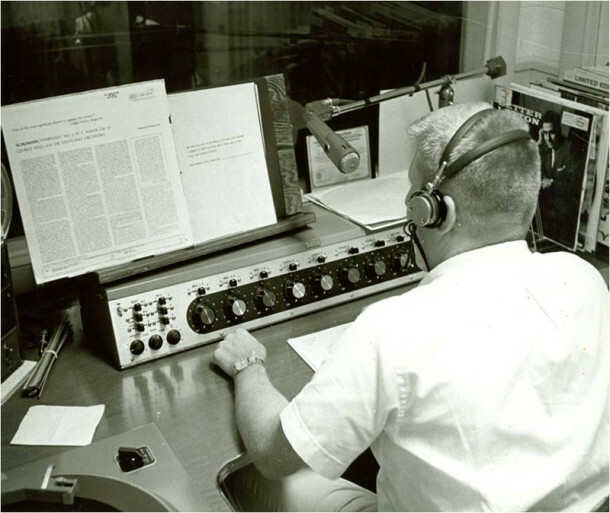 since the first radio station was WBAA at Purdue University — at first the signal was sent out through the university by connecting to the pipes that ran between buildings. Later it went on the air as an AM station. The State Museum has some equipment and pictures, I believe, from that first effort. My memory says Channel 6 WFBM-TV was the first TV station, and the 500 race was broadcast live at least one year. I am sure you can add a lot to that brief statement. Thanks, Norm. I’ll give your suggestion some thought. Since the site is Historic Indianapolis, I’d probably need to stick primarily to the discussion of radio and television stations in Marion County, with only nominal mentions of Purdue or other early players that are not located in Indianapolis. SUPER interesting, Sharon! UINDY is another positive example of Indianapolis’ German heritage that has contributed immensely to Indianapolis’ culture. Even the evolution of the church in Chatham Arch that is the Phoenix Theater! Yes, Basil, most Brethren denominations that arose in the United States in the 1800s can trace their roots back to 1700s Germany, when founders of the German Baptist Brethren left Lutheran, Calvinist, and Roman Catholic churches to form a new church. Terrific story. I have worked at the school for more than 30 years. You told me things I didn’t know. Thanks very much for doing all your homework. You get an A+ on the assignment! Thank you, David, for your kind words. Considering your long association with University of Indianapolis, as well as your role in the administration, I regard your comments to be quite a compliment (although not totally deserved). Where was R.R. 9 in Five Points? Thanks. Great Mailbag question, Greg! 🙂 Please submit it through the email at the bottom of Sharon’s article; we have to be fair in how we queue up non-sponsored questions. You may want to include your particular interest, since Sharon is so good at sleuthing. I know she has quite a few questions in queue, fyi. Thanks for the question!